Heavenly blog! : Nr. 386: Israel needs and deserves the support and defense of the West's free nations including Norway. But the United States has the greatest responsibility! Nr. 386: Israel needs and deserves the support and defense of the West's free nations including Norway. But the United States has the greatest responsibility! Israel needs and deserves the support and defense of the West's free nations including Norway. But the United States has the greatest responsibility! There has never been a Palestinian state. 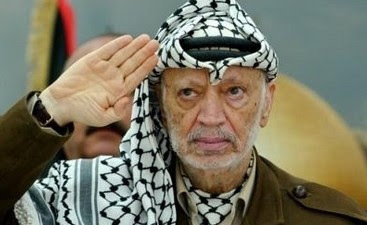 But the biggest villain, murderer, terrorist and Muslim Yasir Arafat as the world has seen just about managed to fool the entire world that Israel had stolen "his" and "Palestinian" land! Talk about a crook, liar and a cheat! The world will be deceived says the proverb, more aptly it has probably never been. History looseness Israel creates hate - know than the story than defending Israel! When many - not least many Arabs that Israel has stolen land by the United States, as is so manipulated and deceived that than believe in a dangerous lie which makes than even dangerous! What is the truth? The truth is that the so-called Palestinians are Arabs who have already many countries, especially Jordan who is their land! The free and Western countries led by the U.S. is the guarantor of Israel's existence and that they should be able to be Lord of our own country! After the Emperor Hadrian had turned down the Jewish revolt in 135 after Christ, he called Judea and Israel for "Felestin", which means "land of the Philistines." It was to punish the Jews and deface their attachment to their own country, he abolished the old and original name of Israel. The names "Felestin" and "Philistines" was originally used to refer to the country lying on the coastline of the Mediterranean Sea north of El Arish and about the people who lived there. The very name "Philistine" means "foreign invader" and these people came from Crete in 1200 - figure of Christ, and since perished. They formed five cities, and they were the worst enemies of Israel in ancient times. When the Arabs conquered Israel and Jerusalem in the year 638 AD, they called the land of "Judea." They used to all no names Palestine and Palestinians. These names appeared again in 1922 as the name of the mandate that England would manage after the First World War. This area included both the Israel and Jordan, and the residents who lived there was called Palestinians. In their passports stated that they were inhabitants of Palestine. Jews were also thus Palestinians in that they lived in Palestine. These designations were used in administrative henseedende and does not reflect the peoples who lived in this area. In 1922, Jordan was separated from this area as a separate state, and one was left with a rump Palestine. The Arabs did not use the name of Palestinians of their own population before the war against the Jews in 1967. There have not been any state that has had the name Palestine or any people who called Palestinians throughout history. The words are a corruption of the words "Felestin" and "Philistines", and they are long dead. The Arabs have not had any state in Israel. They managed this area from Damascus in ca. 100 years. It was only after the war against the Jews in 1967 that the Arabs started calling the area of ​​Israel, that they wanted to have, for Palestine and the Arab people who lived there for Palestinians. The so-called Palestinians are not a separate ethnic group, but they are regular Arabs, who either have lived in this area for a long or come there during the 1900's. They have manipulated the entire world community and themselves to believe this, so now you're talking "the whole world" about Palestine as a separate country and the Palestinians as a separate ethnic group. Many Arabs also expects to Jordan to Palestine. From what I have written above, we must ask: What is Palestine? The following are answers to this question: A) It is the strip of land along the Mediterranean which the Philistines had. B) It is a part of Israel. C) It's all Israel. D) It is the area that England had a mandate over after the First World War. E) It is a fictional land in Israel. It is the last answer is right. It is at all strange that the Arabs, who regards himself as a proud group of people with a glorious history, wants to call himself by the name of a nation "Philistines" which is extinct thousands of years ago, but both Arabs and large parts the world is not the real and historical world when it comes to relations with Jews. They live in a fantasy world where dreams and reality, truth and falsehood easily pass into each other. This is both manipulation and forgery story, but who cares about that when this could help to undermine the Jews and their cause. It's in the 5th Mosebok.33, 29: "Blessed are you, O Israel! Who is like you, a people saved by the LORD, the shield of your help and your high sword. " YOUR ENEMIES hypocrite FOR YOUR EYES, WHEN YOU EXCEED THE FRONT OF THEIR HEIGHTS. " This is exactly what is happening in the world today: that Israel's enemies hypocrite for Israel, but Israel will be victorious from those struggles, because Israel is God's land, and the Jews are God's people. (End of quote). The secret to a strong Israel is no doubt that the United States remains strong and the defense and protective of Israel! USA, we as believers worldwide pray also for the U.S., not just Israel. USA above all others are the guarantors of Israel. Without a strong, robust and "spiritual" Israel is the U.S. so much weaker? Why? 1) the United States is the world's only superpower. 2) USA for Jewish-Christian values! 3) the United States has been blessed by God in many ways more than any other nation to be a blessing to others, especially Israel! ISRAEL HAS LEGAL AND PEOPLE'S LEGAL RIGHT TO BUILDING AND STAY IN THE JERUSALEM, Judea, Samaria and Gaza. It is constantly claimed that Israel is allowed to build and live in these areas. This is not right, it is Israel that has the legal and human rights law in these areas. This was stated at the conference in San Remo. It was held on the 19-24-04 1920. At this conference met victors after the first world war, in order to decide what should happen to the ownership of the land which was called "Palestine". These countries were England, France, Italy, Japan. U.S.A. participated as an observer when it was a member of the League. The purpose of this conference was that it would lay the legal and international legal basis for the establishment of a Jewish state in the whole district. This area is referred to the Jordan, Galilee, Samaria, Judea, Jerusalem and Gaza. This land was called "Palestine". The very name "Palestine" has never been the name of any country. It was an administrative designation for the area that England got the mandate over after WW1. It corresponded to the area that the Romans called "Felestin". A "Palestinian" was thus a living in this land. It could be Jews, Arabs and other peoples. It was England who got the assignment to put everything in order for both a Jewish immigration to this land and to the formation of a JEWISH STATE THE ENTIRE AREA. The mandate given by the League of England. It was called the "Palestine Mandate". This agreement, which was adopted at the conference in San Remo, consists of 28 articles. (See San Remo Convention. Online.) I shall refer a few of the articles in this agreement. In the introductory text of the agreement reads: "Recognition is hereby given to the Jewish people's historical connection to Palestine." This means that England, France, Italy, Japan and the USA acknowledged that the Jews had a historical right and a historical connection to this land. This is also denied by the Arabs of today. They argue, however, that they represent the indigenous people of Israel, that Jews moved to Israel at a later date. They even claim that Jesus was not a Jew, but that he was "Palestinian." All this is wrong and it is not difficult to disprove, but the Arabs do anything to undermine the Jewish connection to this area. They distort the historical facts and resort to falsehood, and the worst is that they believe in it. It is with the Arab identity to do that if a lie is repeated often enough, it becomes gradually perceived as truth and reality. We shall in the following repeat content in 6 of the 28 articles in San Remo agreement. Article 2 imposed England responsible for organizing the political, administrative and economic conditions, so that there could be established a Jewish national home in Palestine. The Jewish National Authority should ensure that all the inhabitants of Palestine should be protected civil and religious rights. Article 3 imposed England that it would encourage local Jewish autonomy where possible. Article 4 gave the Zionist Organization mission to secure the cooperation of all Jews who were willing to help establish a national home for the Jews in Palestine. Article 5 gave England the responsibility for that no land in Palestine was to be transferred to any other country's governments. Article 6 England ordered that it should make it easy for Jews to immigrate to Palestine and encourage the settlement of Jews in the country. Article 7 made England that it should make a law that would make it easier to obtain citizenship for Jews who take up their permanent residence in Palestine. Balfour Declaration of 1917, which promised the Jews a homeland in Palestine, was incorporated in San Marion agreement. It belongs therefore to the current law. In this document, it is not at all talking about the Arabs would get form any government in this area. They were not promised them no political rights. They were promised religious and social rights. The Arabs did however create 3 other states after 1 world war, and it was Iraq, Syria and Egypt. This agreement was unanimously approved by all 51 member states of the League of the 24-07 in 1922. This Agreement is HEREOF law as applicable area. In 1922 broke England this agreement that the country was set to manage and conduct, and a unanimous Folk Federation had approved, in that it allowed the State of Jordan was created on the part of "Palestine" which lay east of the river Jordan. The land that the Jews had been promised, was reduced by 80 percent. In connection with the establishment of Israel in 1948, "Rest-Palestine" divided between Arabs and Jews. Jews were the Galilee and the new town of Jerusalem. The Arabs would get the rest. This land was occupied by Jordan in the war that broke out in 1948 between the Arabs and the Jews. This area was taken back by the Jews in 1967. "Rest-Palestine" is thus NOT OCCUPIED AREA, BUT THE SITE IS freed. That the Jews were forced to give the Arabs living in Judea and Samaria, a certain autonomy, does not mean that Arabs have the right to form its own state in this area. It is the Jews who have the legal and international legal right to this land. It is claimed by many parties that Israel and Jews are not allowed to build and live in Judea and Samaria (the West Bank). This is not correct, but in a world filled with anti-Semitism and hatred of Jews, not even counting international agreements that have been signed between the great powers. The Powers violates even the agreements under which they have been required to enforce. Final Comment: I know that this article is a brief article in no way go in depth, but just wanted to briefly highlight that the U.S. and the free nations in the West are as guarantors and "brothers-nations" to work for Israel - God's own peculiar people! We also have the same values ​​we build our communities on: Jewish-Christian values. Here is a little excerpt from what I've written about this before: From Wikipedia: Jewish-Christian (in British English, Judeo-Christian) is used in the U.S. since the 1940s to refer to standards of ethics are common with Judaism and Christianity. The term is also used in a historical sense to refer to the relationships between the precursor of Christianity and Judaism (end of quote). Now I'll stop here, but the ties between Israel and the U.S. are of inestimable importance and we should not just pray for Israel but also the United States as they are Israel's main supporter and patrons, for now!